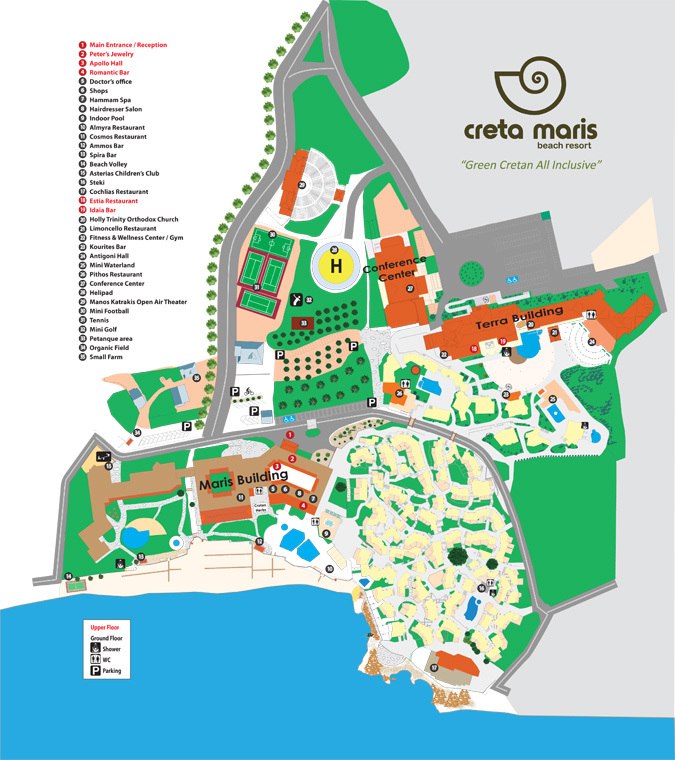 The Creta Maris Conference Centre situated a hundred meters away from the Creta Maris Beach Resort consists of 6.000m2, 68 conference halls and can accommodate up to 5.500 delegates. The location of the Conference Centre with its specifically designed surrounding areas, the number of conference halls, the exhibition area and state-of-the-art audio-visual equipment, the excellent technical support and expert staff, along with Creta Maris Beach Resort's infrastructure, makes the Conference Centre an excellent choice for all venues, from small scientific meetings to major conferences, exhibitions, product launching and banquets. The highly experienced banqueting department organizes dinners, banquets and cocktails offering a variety of Greek and International dishes and a wide variety of special events.